Haven Systems Cashless EPOS systems are ideally suited to both the Education environment and the Business and Industry market sectors. Flexibility is key in terms of delivering essential functionality whether that be for primary schools; secondary schools, colleges or universities. At the front of house speed of service is critical, especially at peak break or lunch times. We provide high specification PC based Tills that are robust and designed with the operating environment in mind. As well as cashless catering, the single solution handles retail sales equally well. 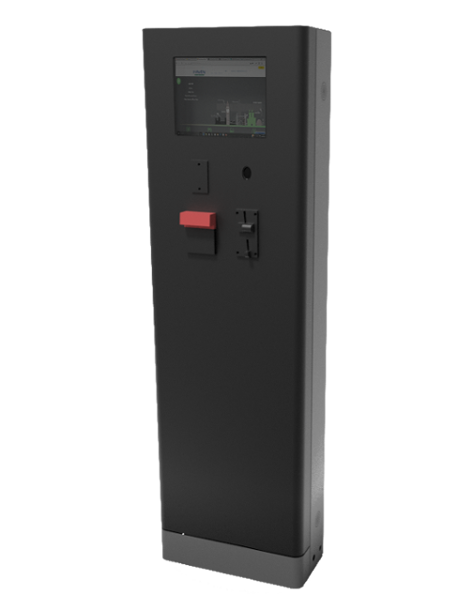 This includes barcode printing and the addition of barcode readers for outlets such as school uniform shop, on campus convenience store or Student Union shop. In terms of student or user authentication at the till, we have different options that include but not limited to; biometric finger print reader log on, MiFare Card readers and RFID technology. We have a direct and live interface with Yoyo Wallet so that users can take full advantage of downloadable mobile apps and enjoy the benefits of loyalty and promotions that you decide to tailor in line with your marketing strategy. A seamless EPOS integrated mobile payment app for all types of smart phones. Apple Pay and Android as well as Chip & Pin and contactless payments are processed via EPOS integrated Verifone VX820 devices that are fully PCI-DSS Compliant. Behind the scenes, the core system is adaptable and configured to specific requirements to handle the different scenarios in education such as ‘FSM’(Free School Meals), Daily Spend Limits, Multiple Price Bands (Staff, Student, Visitor etc) and top up methods that may include the JR100 Revaluation Kiosk with cash and card or web top ups. On line payments may be via a standalone web portal or potentially linked with your existing web payment system. Dynamic menu sets allow the different retail and catering operations to be managed across multiple campuses in the most efficient way to support your operations. Individual Managers or Supervisors have access to view their own data as part of ‘site aware’ user access control. Options include Advanced Stock Control, Order and Delivery Processing, Mobile Stock Taking devices and Stock Take Wizard. Software is intelligent in terms of allowing partial stock takes, line checks and handling any stock variances. Management Information is on hand via a comprehensive suite of reports accessed by authorised users from within the back office system. The Analytics tool is used to create and save bespoke reports that may be refreshed on demand and include numerous display, visual chart and export options. A Management Information Dashboard is included on the back office home page with various widgets that provide graphical updates on the most important KPI’s such as sales to date, sales versus same time last week, best sellers and payment method. 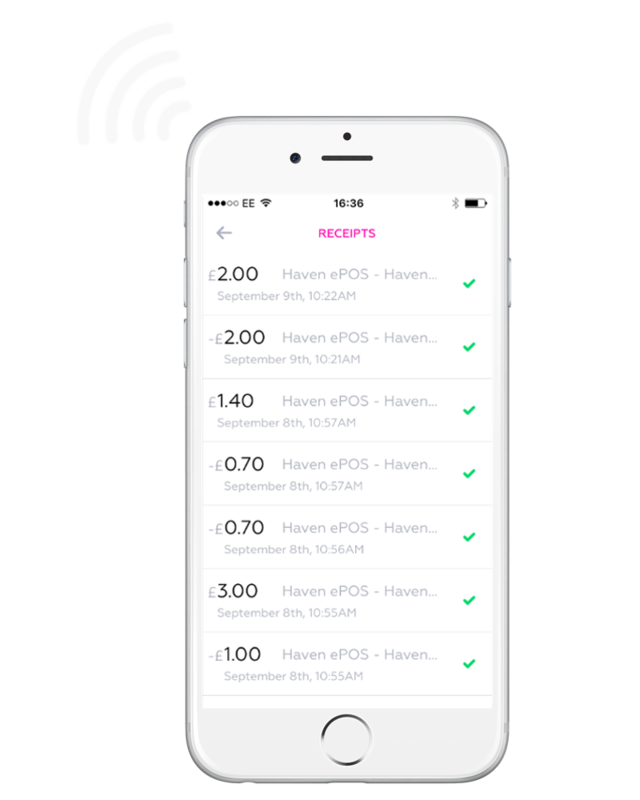 The Haven Cashless System is truly adaptable and will deliver real operational and cost saving benefits to your school, college or university. Developed for Primary Schools, the Meal Ordering module allows selection of schools meals and handles daily confirmation of any absence to reduce wastage. Linked to web payments and direct debits this module eliminates cash handling. Using biometrics for pupils to access their cashless catering account is safe and efficient. Pupils consider the convenience of not having to remember passwords or carry ID cards as a great advantage. Account top ups are processed via a simple to use Payment Portal where parents can see an audit of their child's spend. Alternatively, we can link with your existing payment provider to ensure continuity for parents and system administrators.